Authorities of the Tamale Teaching Hospital (TTH) have called on the public to voluntarily donate blood to stock the almost empty blood bank. Dr Alhaji Zebrim Adams of the TTH blood bank revealed that the facility is currently facing blood shortage due to high accidents rate, child births, anaemia and shooting incidence. He mentioned that the hospital needs a minimum of 400 pints of blood monthly and some 1,000 or more pints yearly. The Tamale Teaching Hospital blood bank serves as the 'world bank' of blood for health facilities in the Northern Region. According to Dr Zebrim Adams, they supply blood to other health centres in Yendi, Zabzugu and others who do not have the technical facilities and equipment for blood donation or storage. He hinted that fueled by fear or a handful of misconceptions, many people opt out of donating blood when they could be saving a life and helping to replenish the blood bank. “Blood donation is a healthy practice as the donor is at less risk of heart and cancer attacks and also burn calories even though it's not advisable to use blood donation as a means to burn calories,” he revealed. Dr Zebrim Adams pointed out that anybody within the age of 18-60 years and healthy can donate blood. 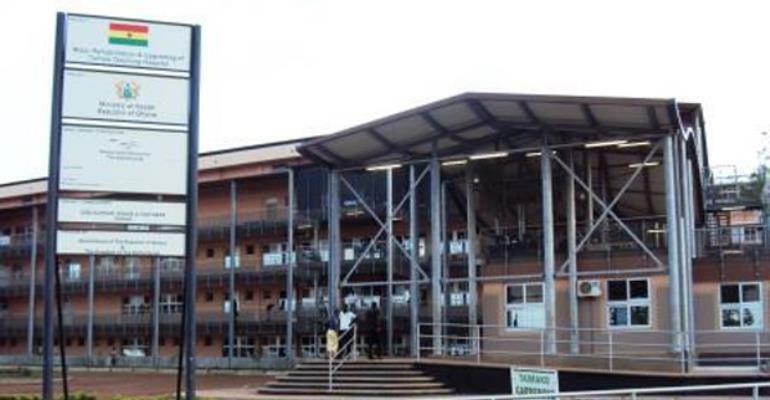 The Tamale Teaching Hospital is, therefore calling on the general public to register as blood donors, adding that donors' blood can help save lives.